It’s time once again to take a little breather in the midst of our busy-ness. Pour your favorite beverage. Find a cozy spot to land. And breathe deeply. I have a funny story to share with you today. July is proving to be an interesting month around my house. Interesting and frustrating at times. Earlier this year, I planned to write during the months of July and August. But we all know about “the best-laid plans of mice and men,” right? Other aspects of my business and my life require my attention this month. Until I was “grilled by life” this past weekend, I hadn’t realized how frustrated I was by this alteration in my plans. Like many of you, I enjoy grilling throughout the summer. There is nothing better than perfectly grilled veggies, steak, and steelhead trout. Makes my mouth water just thinking about it! So, when I realized my trusted grill of the past 8 years was on it’s last legs, I took advantage of the mid-summer sales and purchased a new grill. I was so excited by the prospect of a new grill that I failed to appreciate the sarcasm in the salesman’s parting words—“Have FUN putting that thing together.” A few hours later, I totally got it! Who writes Instruction Manuals? The title is certainly misleading. I discovered no insightful instructions. Instead, the manual offered an inventory of parts along with a myriad of confusing diagrams. As I attempted to discern “next steps,” I became increasingly frustrated. I was sweltering in the heat—my reading glasses sliding down my nose whenever I leaned over. Because the process took longer than anticipated, the parts became blistering hot, making the assembly process even more FUN! I reached my boiling point when I dropped a nut in the grass—never to be seen again. As I crawled around on my hands and knees—pleading for Divine intervention—I realized I was being grilled by life! What was the lesson to be learned? Why was I allowing this very minor inconvenience to drive me NUTS? I finally acknowledged the futility of my search and sat down in the shade. Calmer and a bit cooler, I reassessed the situation. All was not lost. The assembly process could be completed minus one nut. More importantly, it was time to confront the source of my frustration and irritation—lack of control. Upon reflection, I realized this issue has been building since the death of my brother in March. Sitting at my brother’s bedside, I had no ability to control the progression of his terminal cancer. I felt helpless. Ineffective. Off balance. So, in order to regain some semblance of stability, I attempted to control all other aspects of my life—the minutia. Consequently, the slightest deviation proved aggravating because it was just one more reminder that I was not in control. The good news is that I successfully assembled my grill. Admittedly, it has a loose screw—an attribute to which I can relate! 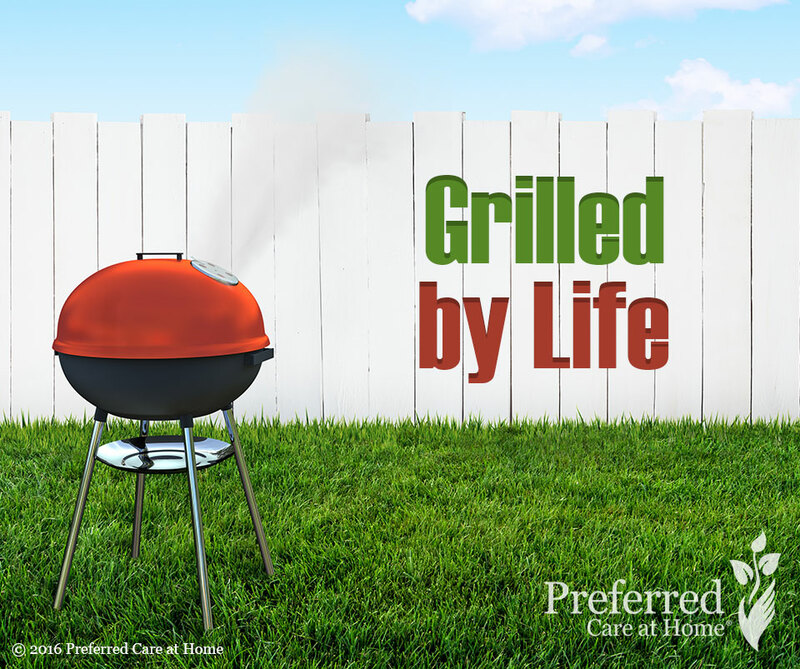 The better news is that having been “grilled by life,” I understand my need for control and thus am less insistent about being in control. I will write when I am ready to write and when time permits. Trusting the process, I need not be in control of every aspect of my life. Thus far, this is proving to be a much more enjoyable way of being.